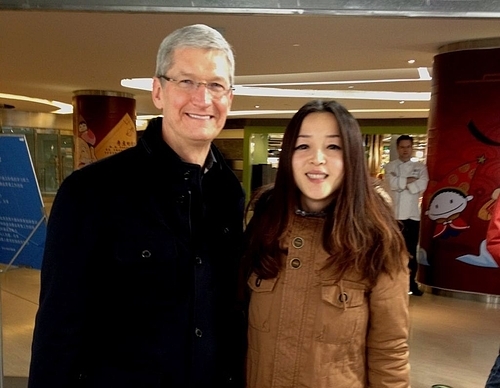 Apple CEO Tim Cook is visiting China to meet some government officials and discuss the development of country’s IT industry. 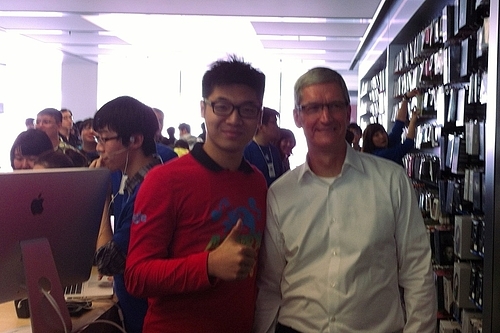 But apart from his official commitments, he has been seen taking photos with Chinese Apple fans, including a fan who works at an Apple reseller store, at the Wangfujing Apple Store in an underground passageway (via MIC Gadget). 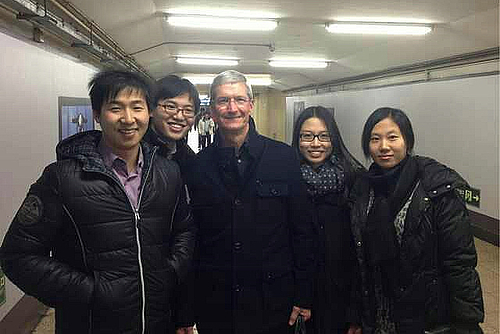 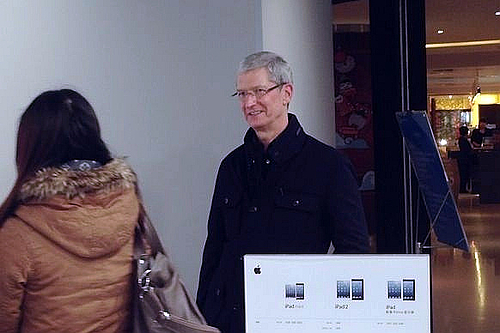 Tim’s photos made their way to the web though a Chinese Twitter user, Sina Weibo, who has been sharing some interesting pictures of Apple CEO visiting Beijing. 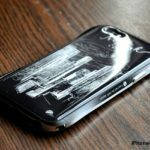 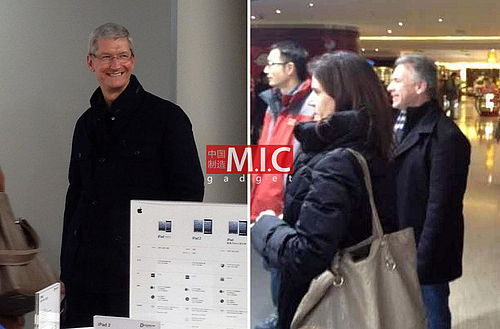 One of the photos also shows Phil Schiller, Apple’s Senior Vice President of Worldwide Marketing. 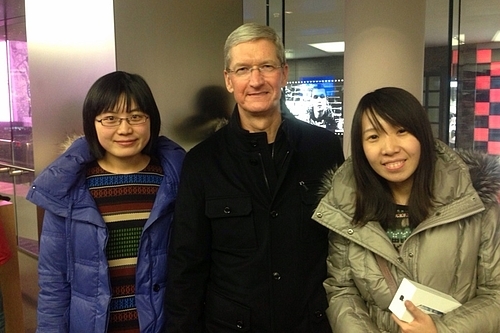 Check out all the photos below and don’t forget to share your comments with us!